CAPE TOWN (Reuters) - Collectors from America and Europe are scouring Cape Town’s booming art scene in search of deals as diverse as an expressive oil painting by South Africa’s Irma Stern or a sculpture assembled from bottle caps by Ghana’s El Anatsui. At a packed auction on Monday, bidding reached new highs as collectors phoning in from as far away as Chile and Canada competed against each other and the audience. 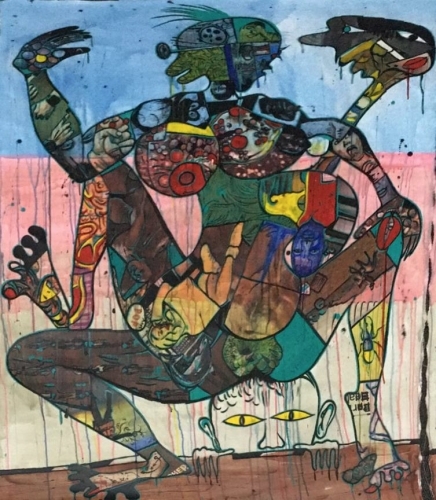 More than 600 lots were sold, and on offer were a wide range of items: from Chinese and Japanese ceramics to works of South African heavyweights Stern, Gerard Sekoto and Alexis Preller. Stern’s paintings took the top three spots by value, with the highest bidder paying just over 20 million rand for portrait “Arab”. The painting, still in its original carved wooden frame, is a previously unrecorded portrait of an Omani nobleman from the court of the Sultanate of Zanzibar. The potential investment value of some of the continent’s historic art figures and a favorable dollar-rand exchange rate are also attracting foreign buyers, Kilbourn said, adding South Africa’s art market is valued at around 2-3 billion rand a year. “Definitely, Americans and Europeans are the largest buyers of African art or South African art,” Darren Julien, chief executive of U.S-based Julien’s Auctions said.